Spirits blogger template is totally unique responsive with clean and beautiful design to provide your users with better experience. Spirits comes with many inbuilt widgets. 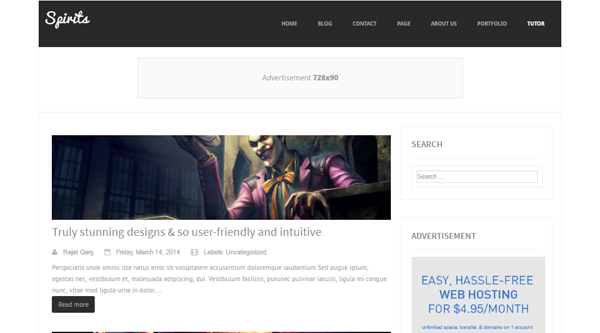 Spirits is completely responsive and retina ready blogger template. Spirits is also Seo optimized and comes with features like ads ready , search box in sidebar, related posts widget, customized commenting system and a lot more. Following are some of the key features of Spirits blogger template.